Displayed below are all the open houses in Santa Monica scheduled within the next 10 days according to the MLS. This list of Santa Monica open house showings is sorted and displays the lowest priced properties first. You may use the "Sort" menu drop-down options to reorder these properties as desired. Call or Txt Peter Sale at 310-291-3426 or Email me if you are not currently listed with another broker and are interested in selling or leasing your Santa Monica property. 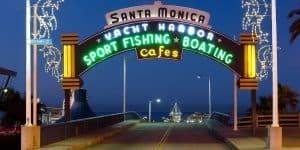 I am equally happy to assist prospective buyers or tenants looking to make Santa Monica their new home.